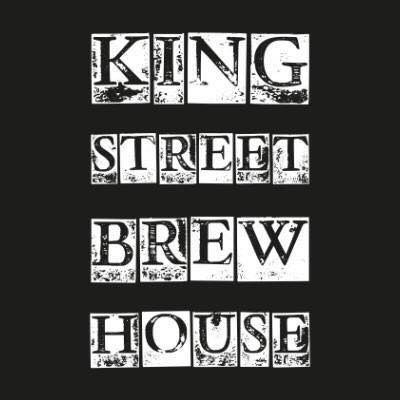 The King Street Brew House is an urban style city centre pub with its very own micro-brewery, creating an eclectic range of cask and keg beers. We serve a delicious array of modern classic pub food all day from lunchtime until late, all prepared using the freshest ingredients inc Pumpkin, chickpea and lentil curry, served with basmati rice and cauliflower pakora; Black bean patty with mizuna, tomato and slow roasted BBQ jackfruit; Spicy Black bean patty with sticky mushrooms, mizuna and cashew vegan mayo; Mushroom, lentil and spinach wellington with a coconut curry sauce. Our beautiful Micro Brewery has been the beating heart of the King Street Brew House since it opened in 2016. If you have a look at our keg list on the wall there is a (v v) symbol written next to the vegan beers – I hope this helps!